Using aromatherapy to balance your whole being will not only affect the health of your body, mind, and spirit, it will undoubtedly affect the health of your business as well. When you experience renewed vigor and harmony within, it’s hard for your career to not reflect the results, too. Combine with 4-8 oz. of warm water. Many ancient cultures used plant aromatics as incense, salves, unguents, natural perfumes, and distilled waters for the purpose of health. Today’s therapists can draw from the ancient example to restore not only their client’s well-being and vitality, but also their own. Aromatherapy, both a science and an art, is the use of plant-based essential oils and hydrosols to balance the mind, body, and spirit. An essential oil is a volatile liquid extracted from various plant parts by steam distillation. Those aromatic plant parts may be the root, seed, leaf, flower, peel, bark, resin, wood, fruit, or berry. The science refers to an understanding of the therapeutic properties of essential oil through chemistry. The art is bringing essential oils or hydrosols together in a blend to enhance their therapeutic effect. Aromatherapy is most commonly associated with the sense of smell, but essential oils can be absorbed into the body by either inhalation or skin application. Use on a tissue or in a diffuser. Our sense of smell chemically connects our brain to our environment. Perceived odors can trigger perception, memories, and smell-related emotions and behaviors, as well as regulating feeding, autonomic responses, and hormonal output. By smelling an appropriate essential oil, the user can become relaxed or invigorated, be soothed, feel emotionally balanced, improve a mood, reduce stress, or recall a beautiful place or event. With the use of essential oils, unexpressed emotions like anger, fear, and resentment can surface, thereby preventing these emotions from manifesting in the body as health problems. Essential oils are also absorbed into the body through the skin. Lavender can be detected in the blood 20 minutes after application to the skin. Since essential oils are so rapidly excreted from the body, microorganisms do not have an opportunity to develop resistance to essential oils. With topical application, essential oils go directly to where they are needed for sore muscles and cramps, bruises, infections, minor cuts and abrasions, arthritis, and headaches. Essential oils can also increase the circulation of blood, stimulate the immune system, and reduce lung and sinus congestion. Essential oils help us feel good about ourselves. They can assist healing and restore a sense of well-being to our bodies. The plant oils, as opposed to fragrance oils, harmonize the body and stimulate its natural healing abilities. True aromatherapy is a marvelous tool for self-care, but not a substitute for medical treatment. The safest and most common ways of using essential oils are by inhalation through the nose and mouth and by dilution for skin application through bathing, massage, skin care, and simple first aid. Unless you are using a reliable formula, it is best to begin working with a single oil at a time. This way you will know exactly what gave the results, and you will become familiar with the individual oil. Mix in a basin of water. Inhalation. Inhalation of essential oils is systemic absorption by way of the nasal mucosa and lungs. Inhalation can be used for a variety of purposes. The air quality in your workspace or home can be cleansed and disinfected via essential oils. Inhalation can give you relief from upper respiratory congestion or reduce the effects of stress. It is by inhalation that essential oils can influence moods or emotions and relax or stimulate. But not all essential oils can be used for inhalation. Some are too caustic to the tender tissues of the nasal passages and lungs. This route of application is contraindicated for asthmatics and those with respiratory allergies. Inhaling through the nose is for the sinuses and emotions. Inhalation through the mouth is for the benefit of the lungs. Inhalation is easily accomplished through the use of steam, a diffuser, spritzing, a humidifier, or sniffing a tissue. Skin Application. Using essential oils on the skin can not only offer the added benefit of your own healing touch, skin application can treat underlying muscles and organs, as well as addressing localized conditions. The risk here is contact dermatitis, especially for the therapist who is already using essential oils in her practice. Sensitivity can also develop with prolonged exposure to undiluted essential oils, causing a permanent allergy to a given oil. Be also advised that all pressed citrus oils and several others are photosensitizing. These oils increase the power of the sun’s rays and a severe burn can result. On a tissue or in a diffuser For use on the skin, always dilute the essential oil in a carrier like olive oil, sunflower oil, jojoba wax, aloe gel, or a neutral cream or lotion. (Mineral oil is not recommended for use with essential oils. Mineral oil is best left for lubricating machinery as essential oils will not mix.) This allows the essential oil to be applied in a smaller amount over a larger portion of the skin as in massage. Your body serves you in many miraculous ways as you work and move through daily life. It is nothing new to be told that as a therapist, if you work to the point of being tired or fatigued, you risk injury that could seriously alter your career path. If you feel you have overworked your back, thumbs, hands, arms, or even feet, pay attention that you work with your breath and watch your body mechanics. At the end of the working day, begin to anticipate sliding into an aromatic bath to relax, soaking your feet or hands, applying an invigorating aromatic rub to your limbs or a soothing compress to your back (see the self-care recipes throughout this article). What other ways can essential oils restore your vitality and reduce your stress? Apply essential oils (in dilution) to the appropriate reflex points on your ears, hands, and feet. For example, rub diluted Eucalyptus radiata on the tips of your fingers and toes for sinus congestion. Reflexology is known to reduce stress as well. Need to stimulate your immune system? Try the “Thymus Thump” by firmly thumping the manubrium at the top of the sternum with your fingertips. Add an upper chest rub with vetiver (Vetiveria zizanioides), and really stimulate the thymus gland to activate the immune system. Stress in small amounts may keep you motivated, but long-term intensity will affect your health. This is a key time for plant oils to partner in your health. The main attribute of essential oils is stress reduction. When essential oil molecules reach the portion of the brain associated with smell, an electro-chemical process initiates the release of neurochemicals that may be sedating, relaxing, euphoric, or stimulating. Inhaling molecules of essential oils begins a powerful process. If you have already experienced an essential oil or an essential oil synergy that connects with your being, use it to return to your body and reconnect with your essence. For caregivers and therapists, mental exhaustion and depletion from giving of themselves over and over can leave little reserve for self. The more you engage in nurturing yourself, the more reserves you will have to share with clients and family, and burnout will seem remote. Nurturing yourself can include many varied activities, rituals, and practices: yoga, meditation, deep relaxation, hypnosis, journaling, dream work, creative pursuits, tai chi. Spiritual retreats and time in nature reinforce the Earth connection and help us to see opportunities for personal growth in the events of life. Consult the list of essential oils on page 32 to see which one or more resonate with your emotional and spiritual self-care. Grounding is a fluid, unimpaired connection with the Earth and with full mental awareness. Vetiver and spikenard (Nardostachys jatamansi) are excellent oils to use with your personal grounding exercise. When meditating or doing breathwork, use frankincense (Boswellia carterii) to deepen the breath. Dream work and dream journaling can lead to a deeper understanding of self. To enhance the process, place several drops of clary sage (Salvia sclarea) on a tissue and tuck it into your pillow at bedtime. Dreams become more colorful and intense without nightmares. Aromatics reach into the core of our being. Place a touch of rose (Rosa damascena) in a carrier oil over the heart, surrender and fall into the area that needs healing and have a conversation with your body. 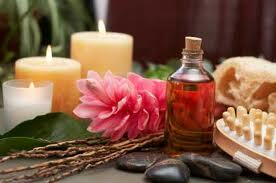 If your self-treatment does not impact your symptoms, try an appointment with a professional aromatherapist. Receiving an aromatherapy session from a professional will facilitate the selection of essential oils and applications that best suit your needs. Essential oils place your body and mind in a receptive state. When you inhale an essential oil, your soul is communicating with the aromatic plant. There is an interconnected web of life energy. Aromatherapy can restore resonance to malfunctioning connections. Natural healing begins with connecting mind, body, and soul. By Eileen D. Cristina, CMP, ACA, an advanced clinical aromatherapist, advanced Barnes myofascial release therapist, and owner of Kneading Wellness, a supplier of therapeutic essential oils and aromatherapy supplies. 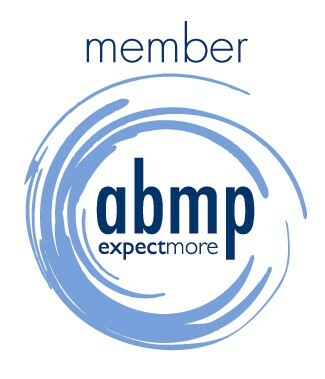 She has studied aromatherapy with renowned essential oil resource consultants from around the world and represents the United States on the editorial board of The International Journal of Aromatherapy. She is an adjunct faculty member at the Lancaster School of Massage in Pennsylvania. As a professional member of the National Association for Holistic Aromatherapy, she serves as the Pennsylvania State Director. She can be reached at eileenkw@ptd.net. Gallery | This entry was posted in Aromatherapy, Bach Flower Practitioner, Energy Healing, Energy Medicine, Essential Oils, Holistic Healing, Massage, Massage Therapist, Massage Therapy, Our Center, Reiki, Therapeutic Massage and tagged alternative, aromatherapy, Essential oil, Health, Lemon, Patchouli, Peppermint, Shopping. Bookmark the permalink.